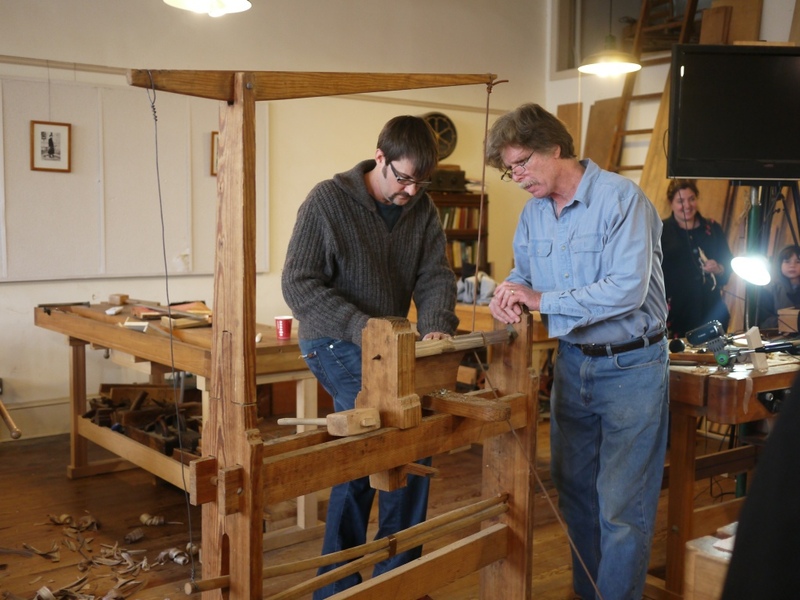 If you are ever near Chapel Hill, NC, do yourself a favor and visit the Woodwright’s School. They are dedicated to the art of working wood with hand tools, wedge and edge. No screaming routers allowed here. The school is run by the PBS icon of over 30 years, Roy Underhill of The Woodwright’s Shop. Roy shared his techniques using the springpole lathe and observed while I planed a big hunk of green walnut as he chatted with my Dad. …and yes, he’s just as crazy in person. Full episodes of Roy’s show are available on the PBS website or their mobile apps.